Posted by Eddie & filed under Science, Travel, April 13 2010. 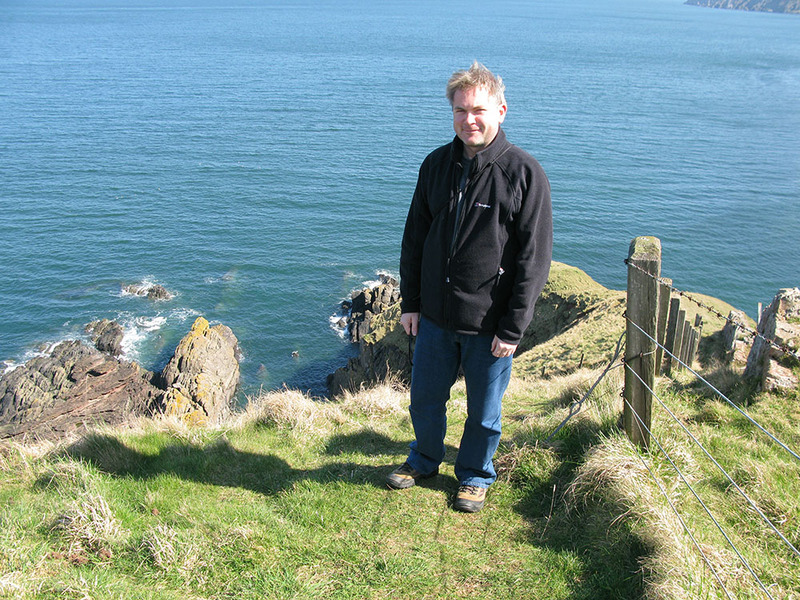 On Sunday Lesley and I travelled to Siccar Point, on the coast to the east of Edinburgh, not far from the border with England in the Scottish Borders region. 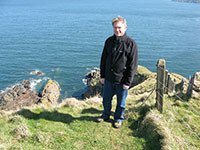 Siccar Point is a rocky promontory that played a pivotal role in the history of scientific research. 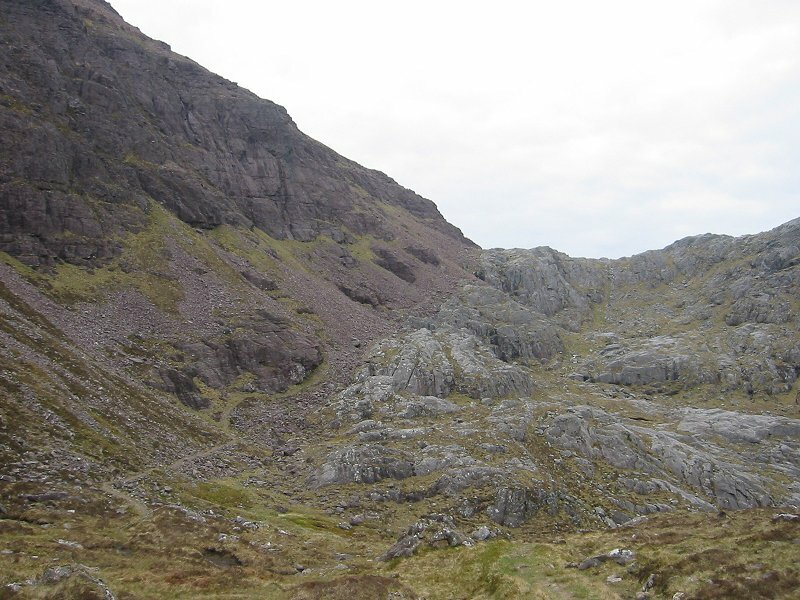 It might look to the casual observer like a big lump of jagged rocks, but the jarring unconformity in the rock types visible here, with layers of strata almost at right angles to each other, led the Scottish geologist James Hutton to postulate that the Earth was millions of years old, and not the thousands proclaimed in religious creation stores. This in turn led to modern scientific thought and revolutionised almost every aspect of philosophy and rational enquiry. It’s not much of an exaggeration to say that the modern world was born on this rocky spur. For such an important site, it is little celebrated and quite a well-hidden and unknown spot – despite living so close, this is the first time I’ve visited it. We had a fantastic day for the short walk across grassy fields to the viewpoint at the top of the cliffs above the point, and I took a few photos that show the rock uncomformity well. You can see the pictures from the day on my website here. You can see a photo I took a couple of years ago of another rock unconformity in the mountains of Letterewe here.